There are many social media platforms you can use for your business, and you’ve probably heard how important it is to establish a strong presence on most, if not all, of them. However, you have to consider how many hours you have in your day and how many hands you have helping you. 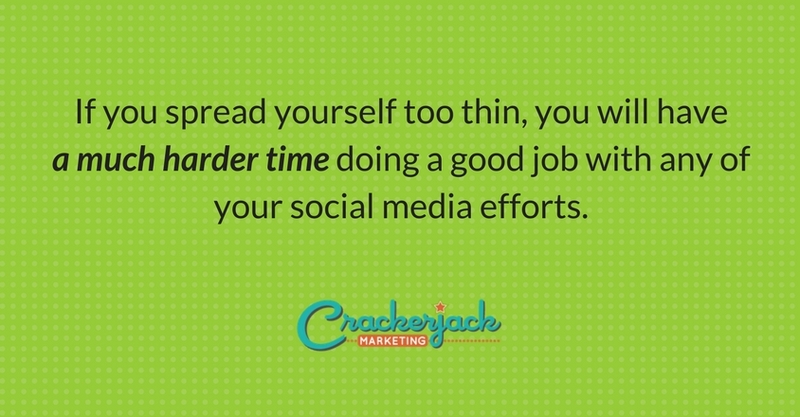 If you spread yourself too thin, you will have a much harder time doing a good job with any of your social media efforts. Instead, concentrate on the one, two, or three platforms you can handle at first, and do a bang-on job with them. Add on additional networks as time allows. Just think: if you do well enough at the start and grow your business, you may be able to afford the help you need to tackle more of the other opportunities down the line. Often, business owners start off strong but then fade fast when it comes to social media. This can happen for a number of reasons. You might run out of time or get busy with other projects. You may discover that there’s much to learn and feel the need to take a step back while you get up to speed. Or you might put effort in at first and get disappointed when your expectations aren’t met right away, giving up altogether or putting in only a weak effort going forward. Consistency is key when you want to enjoy results in this area. Develop solid plans, have realistic expectations, and stick with it. Slow and steady wins this race! Some parts of social media can be relatively easy, such as tweeting and leaving short comments on others’ blogs and pages. 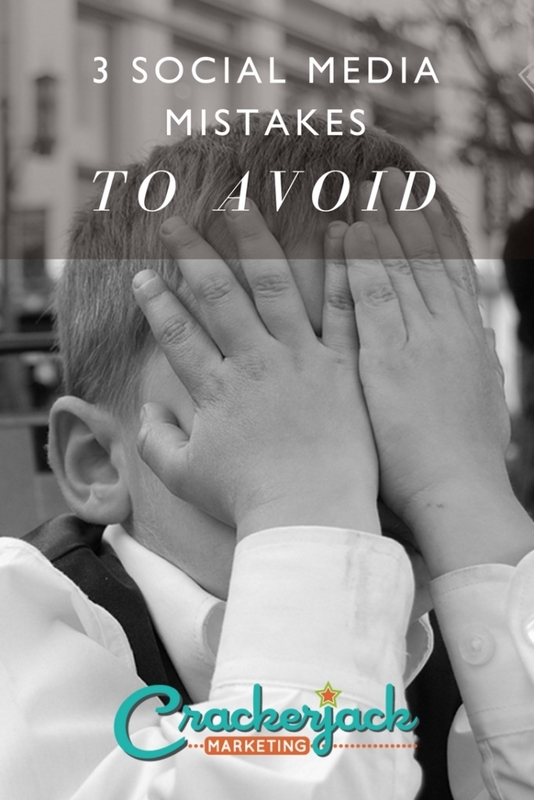 But focusing too much on simply posting probably won’t help you reach your goals on a reasonable timeline if you’re a new business or one that isn’t well known. A large business that’s known far and wide doesn’t have to work as hard from the very beginning as you will have to. As a smaller, newer business, you’ll need to work harder on positioning yourself to attract positive attention and working to gain your audience’s interest in learning more about you and checking you out on your various social media platforms. Find ways to get out there in front of your audience, such as by volunteering your time for events that are frequented by your prospects and seeking partnerships with companies that can help your business grow, get more attention, and build its reputation. Guest blogging and providing content for larger, established outlets that already have the ear of your audience can help as well. 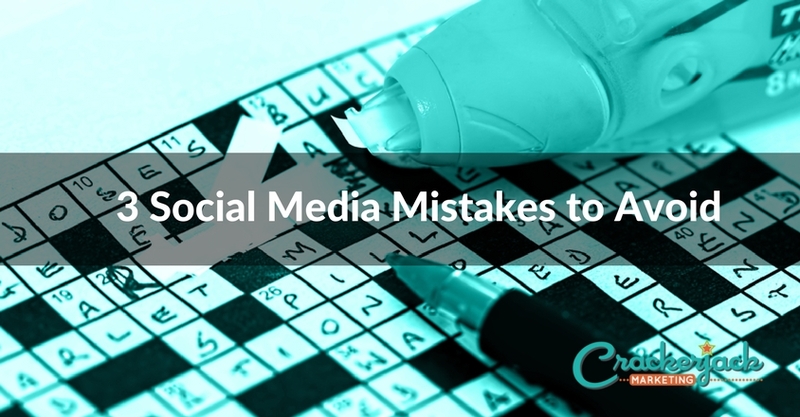 The good news is it’s never too late to correct any mistakes you’ve made with social media. But the sooner you do correct them, the faster you can move towards achieving your goals.